Now for something totally different, it's not an app. It's actually a camp stove. However, this is one cool camp stove. It lets you turn fire into power that can charge all your gadgets! 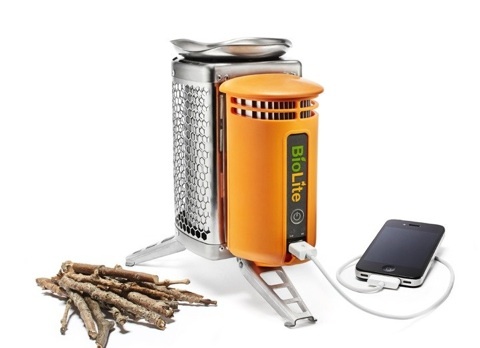 All you need to do to use the BioLite is throw some sticks into it, light a fire, and the BioLite will generate enough electricity so that you can charge whatever gadget you want via its USB socket. The BioLite is something that could come in REALLY useful for any outdoor trip, especially if you want to use your smartphone's power sucking GPS (and smartphone battery life has not really been improving as much as we need it to improve). Obviously it is larger than your regular charger but it's actually not that big (about the size of a water bottle, see below) and weighs only 2 pounds (935 grams). 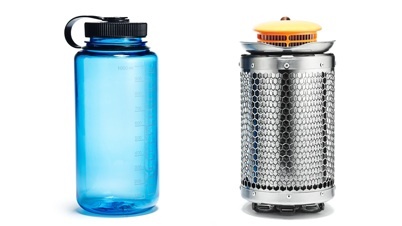 The BioLite costs $129 and you can preorder it on their site. This is definitely something I'd want to have with me next time I go on an outdoor trip.